Originally Château Brane-Mouton, the estate was bought in 1853 by Baron Nathaniel de Rothschild, of the English branch of the Rothschild family who renamed it Château Mouton-Rothschild. The wine was not actually classified a first growth in 1855 but as the top second growth. In 1922 Baron Philippe de Rothschild took over at Mouton aged just 21. His extraordinary efforts, determination and innovation over the next six decades created the legend that is Mouton. He had an influence across all Bordeaux and, much later, even across the pond in the United States. In 1924 the property became one of the first estates to introduce Château bottling. This was a guarantee of quality and provenance at a time when much fine Bordeaux was sold in barrel and bottled abroad. 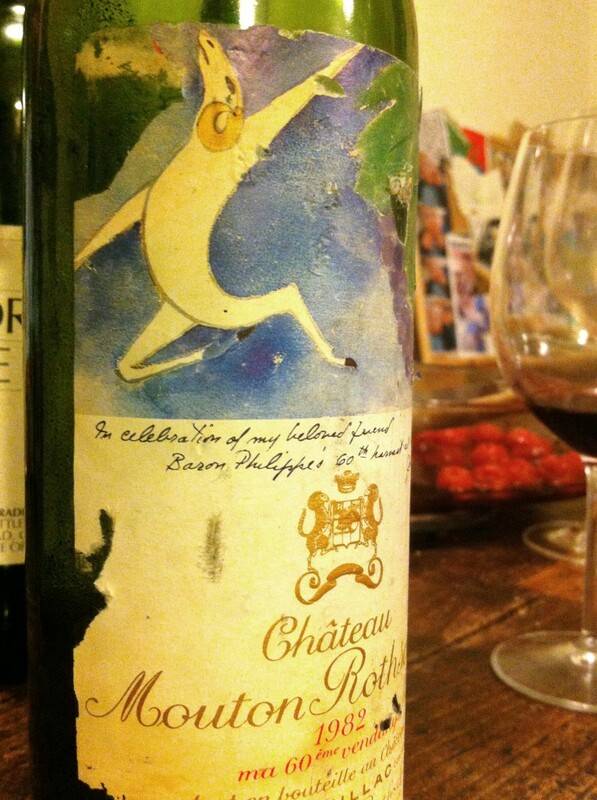 From 1945 Baron Philippe commissioned painters to produce art for Mouton’s labels. Perhaps most remarkably, after a twenty year campaign, Baron Philippe managed to get revision of the original 1855 classification and in 1973 Mouton was promoted to first growth status. ‘Premier Je suis, second je fus, Mouton ne change’ became the motto on the wine’s label – ‘First I am, second I was, I Mouton do not change’. Baron Philippe also established with Robert Mondavi the Opus One venture in the Napa Valley. It heralded an era when great Bordeaux estates began investing in the United States and Latin America. Since the Baron’s death in 1988 the estate has been run with equal vigor and determination by his daughter Philippine. 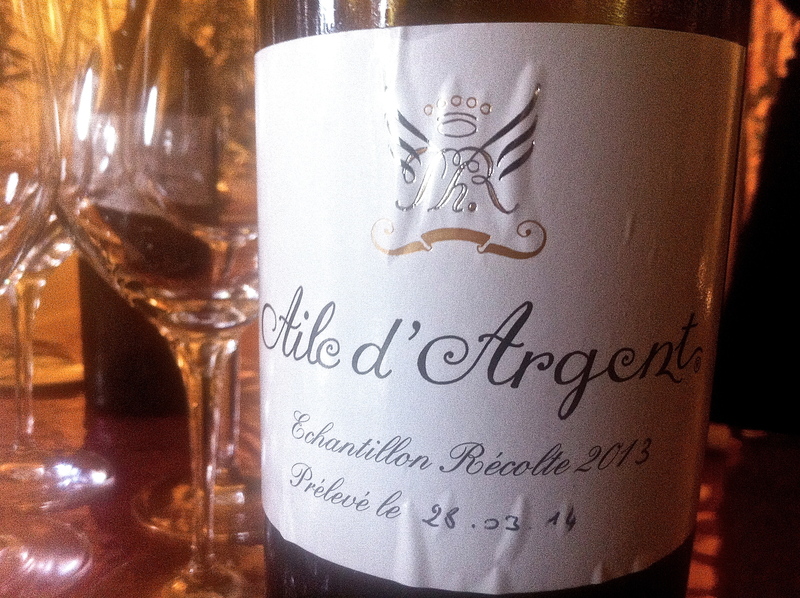 In 1991 she introduced a white wine Aile d’Argent from a 4 hectare patch of vines in the Mouton vineyard planted with Sauvignon Blanc (57%), Sémillon (42%) and Muscadelle (1%). In 1994 Le Petit Mouton de Mouton Rothschild was created as a second wine for the grand vin. In August 2014, Philippine de Rothschild died aged 80. 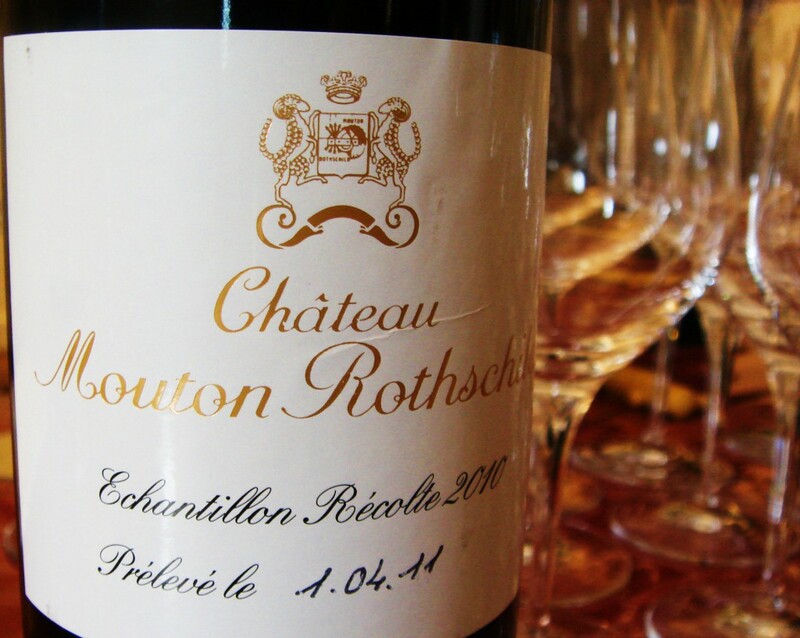 Château Mouton-Rothschild has the ability to produce the most distinctive and flamboyant of all the wines in the Médoc. The 1986 for me remains one of the finest Moutons I’ve had which was a wonderfully exotic and expressive wine. Generous friends have opened bottles of the great 1982 which I’ve now had twice. The first bottle was a closed, backward wine and a little difficult to fathom. The second was extraordinary. The past decade has seen a return to top form here. The 2006 is ravishing. More recently the 2009 and 2010 are spectacular. Both 2011 and 2012 are great successes for the vintage. Much credit for this goes to Philippe Dhalluin, Mouton’s technical director and his team. Vineyard/Terroir: 84 hectares planted with 77% Cabernet Sauvignon, 12% Merlot, 9% Cabernet Franc and 2% Petit Verdot. Average age 45 years planted at 8,500 vines per hectare. Yields 40-50 hectolitres per hectare. Winemaking/Elévage: Fifteen to twenty-five day fermentation and maceration followed by 18 to 22 months in new oak barrels. Egg white fining, no filtration. 2016 Deep and saturated look; purple edge; cassis; some pain grillé and blackcurrant aromatics; very polished; lovely blackcurrant fruit; real delicacy here; nimble; better than ’15 here; some oak to integrate with the fruit but all looks good. Good levels of extract; ripe fruit and very supple tannins. Length on the end. Nice palate impression. Most exciting Petit Mouton since the knockout 2012. Great stuff! [62% Cabernet Sauvignon, 35% Merlot, 3% Cabernet Franc]. Tasted 3/4/17. Drink 2022-2036. 93-95.